Latest in "Arab Region: The Dignity of Women"
Women played a largely unreported role in last year’s revolution in Libya. Now they have to fight both Islamist and secular men if they’re to have any influence in the new Libya, says Lindsey Hilsum. 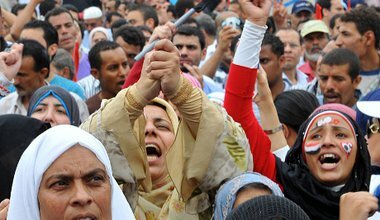 The lack of institutional concern for epidemic levels of sexual harassment and assault in Egypt is part of the larger neglect of the issue of gender equality by the post-revolutionary powers, says Heather McRobie. A problematic discourse: who speaks for Arab women? A poem by Marwa Sharafeldin. Part of a series of poems by African feminist writers for 16 Days of Activism against Gender Violence. Expropriation of their land by the Israeli state is an ongoing injustice for its resident Palestinians. 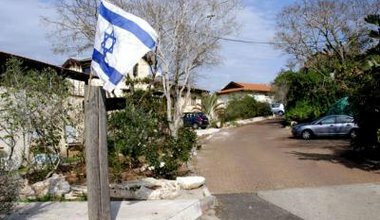 Cynthia Cockburn recalls the 'politics of land' in an alliance forged between Israeli Jewish and Israeli Palestinian women between 1983 and 2008. 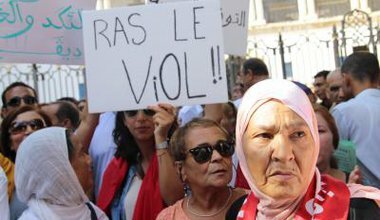 The Tunisian experience with state feminism is a model to draw lessons from, especially for the Arab-Muslim countries whether governed by liberal autocratic regimes or Islamist regimes: whenever the regime talks in favour of women, read between the lines. In the run up to next week's Presidential election in Somalia, Zainab M. Hassan writes an open letter to new women parliamentarians asking them to demonstrate collective leadership in their choice of someone to lead a ruined country. The recent protests in Sudan attest to the rise of a new generation of Sudanese youth activists. At the heart of this emerging political force is Girifna, a youth-led movement which has been using internet power, confrontational street tactics, and advocacy to stand up to the regime of Omar al-Bashir. 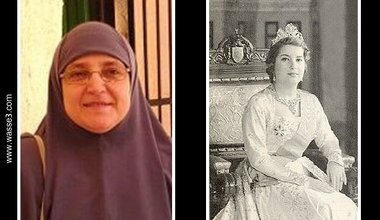 لأول مرة في تاريخ مصر, ترتدي سيدتها الأولى الحجاب و كما أثار زوجها قلق الكثيرون حول مدنية الدولة, أثارت زوجته القلق حول صورة المرأة المصرية. Written by: Ghaidaa al-Absi.  All articles by Ghaidaa al-Absi. حوالي 90% من النساء اليمنيات يتعرضن للتحرش الجنسي في الشوارع يوميا. مجموعة من الناشطات الشابات في مجال حقوق النساء يستخدمن وسائل الإعلام الجديدة لإعطاء المرأة والرجل مساحه للتعبير وجمع البيانات لتعبئة صناع القرار ورجال الشرطة لتشكيل قانون لمعاقبة المتحرشين. الدعم للحملة لم يكن بالإجماع، بل واجه وجها لوجه شكل جديد من أشكال السلطة الأبوية في وسائل الإعلام، وتقول غيداء العبسي. 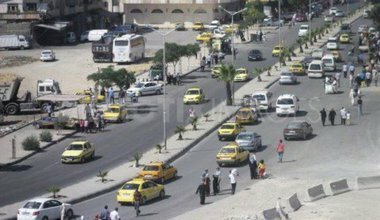 During the first two hours of the military onslaught on Al-Tadamon nearly 5,000 people - mostly women and children - were displaced, including hundreds of internally displaced people originally from other parts of Syria.